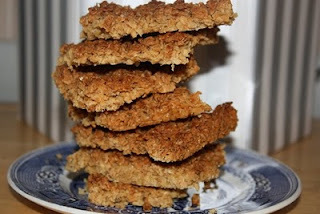 Flapjacks are the easiest thing to make. OK, they are not super healthy except for the porridge oats but they are yummy. The recipe is a veganised version of one from a book called Porridge by Margaret Briggs which is full of no-frills, good recipes.